Toyota's strategic powertrain choice are hybrids - with plug-in hybrids being just a fraction of sales, especially in Europe. In the first quarter of 2018, Toyota sold in Europe 280,300 cars, which is 4% more than one year ago. Hybrid sales increased by 18% to 125,400 and reached major share of 45% of Toyota sales in Europe. But when we look at plug-in hybrid sales - it turns out that only 1,017 Prius Plug-In (aka Prius Prime) were sold - less than 0.4% of all Toyota sales. Hydrogen fuel cell Toyota Mirai noted 29 sales. Maybe that's because the Prius (6,251 sold) isn't that popular, but the European plug-in market is too big to consider 1,000 Prius PHEV as a typical result for a company that is willing to sell those cars. For comparison, Toyota Prius Plug-In (Prime) is one of the top selling plug-in models globally, with sales in Japan and the U.S. far exceeding the monthly results in Europe throughout the entire first quarter. 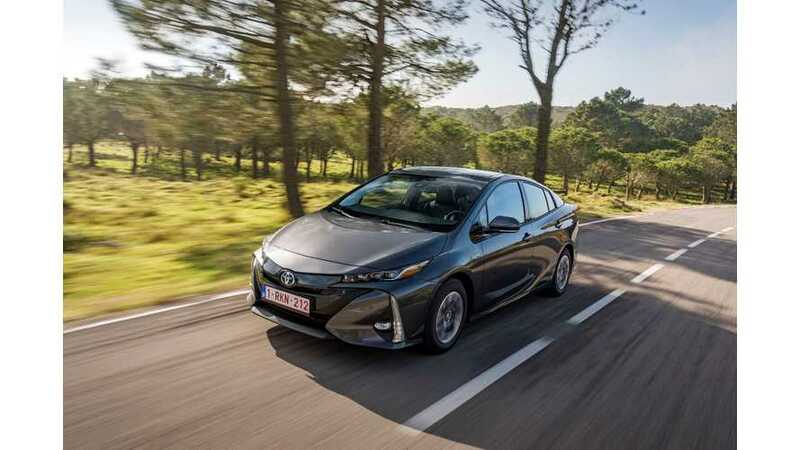 Read Also - Toyota Prius Prime Accounts For Over 35% Of Total Prius Sales In U.S.
Other Japanese cars, like the Mitsubishi Outlander PHEV or Nissan LEAF, fare extremely well Europe, which makes us wonder why there aren't no more plug-ins from Toyota in Europe?